Romanians and Bulgarians have reacted with astonishment and disbelief to the allegations from Britain that entry procedures may have become lax. "The interview we have to go through, even to get a tourist visa for Britain, is long and sometimes humiliating," said one young Romanian professional. She added: "As a woman, I have even been asked about details of my relationship with my husband - presumably to find out whether I will return to him after a week with Big Ben!" Since January 2002 Romanians have no longer needed a visa to visit European Union countries as a tourist, with the sole exception of Britain. Applications for a work visa are even more difficult with frequent queues outside the British consulate in Bucharest, the Romanian capital. Each summer, many students from eastern Europe complain that their bona-fide attempts to visit Britain as tourists have been unfairly rejected by suspicious consular officials. Applicants have been asked to produce proof of employment, or that they have studies to return to, as well as proof that they have sufficient savings to support themselves during their visit. Character references are also sometimes required - ideally from someone with a British connection. About four years ago, a British consul in one east European country told this reporter that there was no point in a skilled industrial worker even applying for a work permit. It would simply not be given - even though there was a shortage of people with his skills. The official joked: "His best or only chance of getting into the UK is hiding in the back of a lorry." 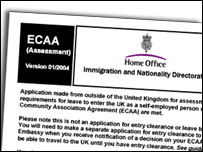 Advertisements have appeared in some Romanian newspapers, placed by firms of solicitors, offering to arrange ECAA (European Community Accession Agreements) visas, at a cost of from £1,000 - £3,000. The e-mail written by James Cameron, the British consul in Bucharest, refers to these visas. 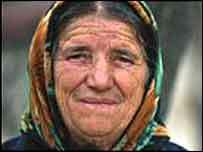 The agreements were signed in the mid-1990s with countries like Romania and Bulgaria. It meant that the application of entrepreneurs from EU accession countries to start businesses in Britain would be treated on a par with applications from EU member countries. But the e-mail from Mr Cameron suggests that such ECAA applications have been allowed to by-pass the normally very strict visa controls at the British consulates in Bucharest and Sofia, the Bulgarian capital. If so, that would indeed be bizarre. False or suspect documents are more easily weeded out by consular officials in the capital cities concerned, with local staff at their disposal, than officials in distant Sheffield in the north of England. In the past, any dubious paperwork has been enough to lead to an immediate refusal of the application. Officials from the Home Office with responsibility for immigration have been permanently posted at embassies and airports across eastern Europe and the Balkans for several years. Either the rules of procedure have changed dramatically, or the e-mail from the British consul in Bucharest does not hold water. All such applications were suspended by the British Home Secretary, David Blunkett, in his first reaction to the latest allegations. The investigation launched on Tuesday by the Home Secretary is expected to explore just how many of these have actually been granted, and how widespread that change in procedure - if there is one - actually is. The short time which has elapsed since then, and the length of time normally needed for any kind of visa application, would suggest that the number is not high. 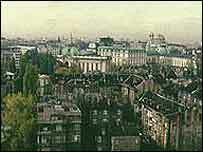 Diplomats at the British embassies in Bucharest and Sofia have referred all enquiries to the Home Office in London. "The majority of these people (referred to in newspaper reports) are already lawfully in the UK," said a spokesperson at the Home Office. In Hungary, one of the 10 countries due to join the EU on 1 May, a British diplomat referred to a recent survey by the Central Statistical Office in Budapest. Out of a total workforce of 7.7m, 300,000 said they "might possibly consider working abroad". Of these, 120,000 had begun to collect information about working abroad, a further 35,000 had actually made preparations and most of those intended to go to Germany.